As a family owned and operated company for more than three generations, you could say designing custom window treatments runs in our blood. We love taking your personal design and combining it with the luxurious lifestyle & fashions of Los Angeles to create window treatments you can’t wait to show off. 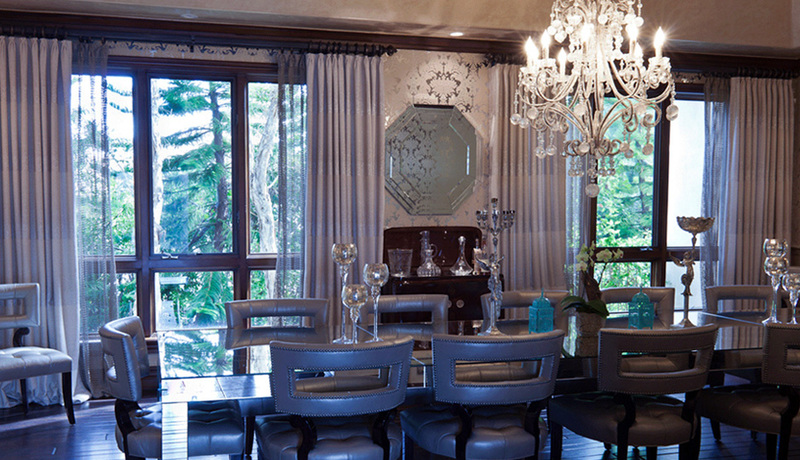 Sara Weller | Knapp Interiors, Inc.
As an interior design firm we look to Galaxy for all our window treatment needs. Rick is so great to work with. He’s thorough, timely, and client focused. We recommend Galaxy for your next project. They do beautiful work. 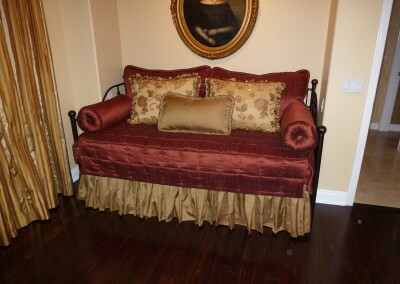 Sara Weller | Knapp Interiors, Inc.
We assure you that the price you pay will be at or below any competitor in the Los Angeles area. Place your order now to get your project started. Continue shopping if you like… we are confident any price comparison will prove that you get the best value from us. We guarantee every custom curtains and window coverings you purchase will be fabricated to exact specifications for the special window in your home. Construction will always equal or exceed highest quality industry standards. If the recommended custom curtains or window product does not perform as intended within 10 years of the installation date, we will repair it correctly, or offer full prorated credit for unused time** towards your purchase of a replacement product of your choice. We know your time is valuable to you and your family. That’s why we will always be on time to your free in-home appointment in or award you a Gift Certificate for future window covering purchases. 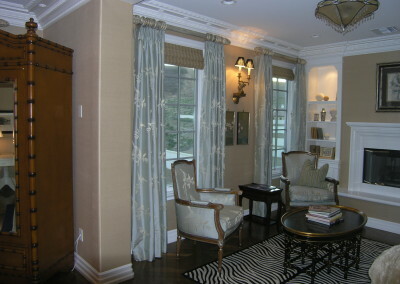 We offer elegant window treatments with a variety of fabrics, materials, functions, and styles. Whether you want to add a luxurious look with elegant drapes or a naturally smooth finish with wood shutters, we work together to define your personal style that fits within your price range in the Los Angeles area. Draperies are the window treatment where you can let your imagination run wild. Whether it’s recreating a picture in a magazine or starting completely from scratch, our designers do everything they can to help you customize the most elegant draperies for you. 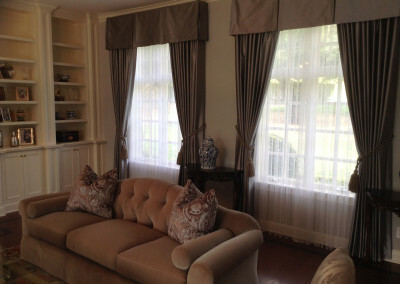 We even manufacture our own draperies on site, guaranteeing your design is exactly what you asked for. As an interior design option, you can not go wrong with selecting shutters. The natural look creates a sophisticated tone, their functionality allows for ideal privacy, and their robust design guarantees durability. With our selection of refined woods and polished stains, we guarantee you will find the shutters you have been looking for in Los Angeles and Santa Barbara. 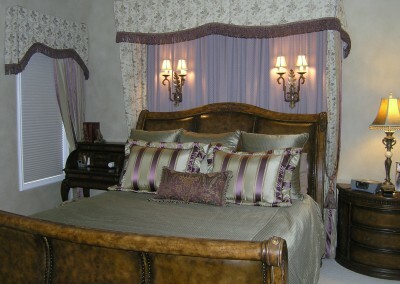 Roman Shades, Roller Shades, & More! If you are wanting a window treatment that combines functionality with style, shades offers the ideal combination of the two. Roman shades provide you with a modern, tailored look with the no exposed cords keeping the window uncluttered, while roller shades provide a smooth, sleek design ideal for any contemporary home. Are you looking to cover a wide window or sliding glass door? 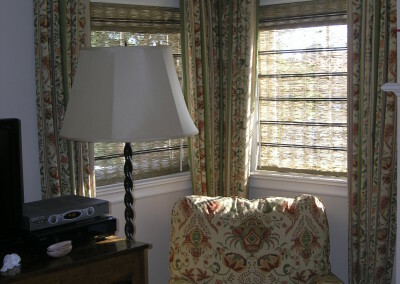 Vertical blinds are the ideal window treatment because of their smooth, sleek design and versatile functionality. Maybe you’re working with a comfortable budget? Horizontal blinds are an affordable option available in a wide selection of fabrics, woods, stains, and materials available by Exciting Windows! by Galaxy Draperies. Galaxy Draperies is a small family business at heart. We work in Northern Los Angeles, Santa Barbara, Malibu, Westlake Village, Pacific Palisades, and the surrounding areas. Striving to make every customer happy with their custom curtains and other window treatments is important above all else. Our knowledgeable and friendly staff love the work they do and it shows when you speak with them to help create a custom design for your home. Our professional and experienced designers want to get to know you and help you select the custom curtains and window coverings that will help take your house and make it your home. Being in business for nearly 40 years gives us the insight and experience to help you choose the window coverings of your dreams. With years of experience in the window covering industry, our designers aren’t just atop the market trends, they create them. Our selection of chic trims and fabrics as well as our out of the box thinking, combine to produce custom window fashions unlike any other. 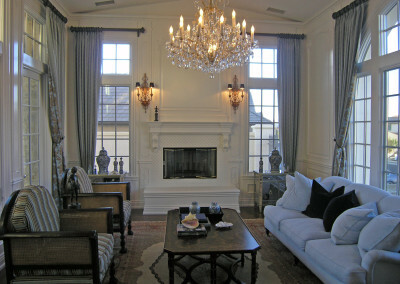 For decades, our top-notch installers have been bringing window treatments to homes in Los Angeles, literally. Their quick, quiet, and inconspicuous work style allows you to continue your life at home, with ease and relaxation. Knowledgeable in control and power options, Exciting Windows installers guarantee every question will be answered before their job is done. We have created long-lasting partnerships with an eclectic community of brands in the Los Angeles area to deliver you an amazing assortment of products and fabrics for you to create your ideal window fashion. Some of the brands we have partnered with include: Horizon Window Fashions, Graber, and many more. 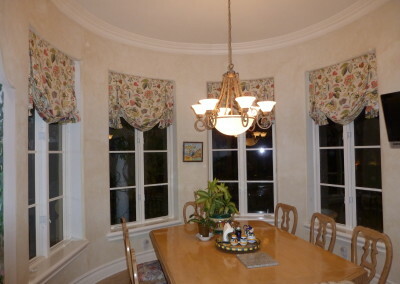 Horizons Window Fashions is a family owned and operated company based in Illinois since 1891. For over 100 years, the family tradition has always been to provide unique and custom made fashion styles unavailable from any other source. Dedicated to quality material and craftsmanship, Graber is a leader in innovative design to create genuinely extraordinary window treatments. The Wisconsin based company is a forerunner in motorized blinds and shades, offering you simplicity, safety, and style at the touch a button.